Okay, if you don't know Leesh and I very well yet, let me just make one thing clear. WE LOVE COOKIES! 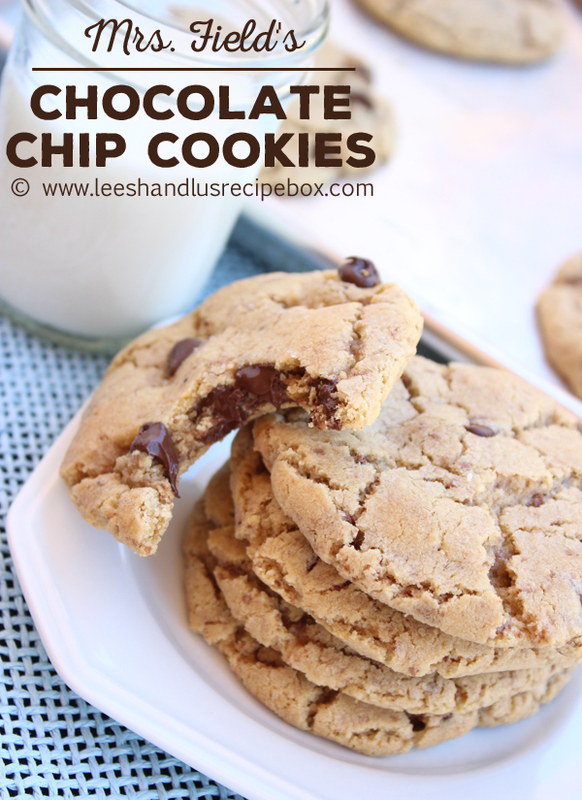 Leesh's go to chocolate chip recipe is this one. I, on the other hand haven't really committed to having one until these were brought back into my life. These cookies date back to our childhood. Coming home from school to fresh cookies was always my favorite! These cookies! Seriously! Our mom made them when we were growing up and I can't believe I've lived away from home for so long and not ever made them in my own kitchen until recently. Leesh sent me the recipe a few months ago, saying, "remember these?!?!". I did and immediately added the ingredients to my shopping list. I know you can only have so many chocolate chip cookie recipes. But this one is a keeper for sure. And it's different than all the others I've made. We love oatmeal chocolate chip and regular chocolate chip. And these are kind of a mix between the two with a few extra special things added, like blended oats, a grated chocolate bar in addition to the chocolate chips and some yummy sea salt sprinkled on top. I think another batch is in order right now! I love these cookies so much because they still have that yummy hearty taste of oatmeal, but are much lighter since the oats are blended into a flour. And the grated chocolate and sea salt just do something magical. I like to make them a little bigger than usual. 2 inch balls. This recipe makes a lot, I usually half it and it's still PLENTY! But we love to freeze them and pop one or two out each day and enjoy them for a while. I love them frozen, and they are also delicious nuked in the microwave for 20 or seconds, just enough to soften the chocolate and pretend it's fresh from the oven. If you like cookies morning, noon or night, we hope you'll give these a try next! Preheat oven to 375 degrees. Line baking sheets with parchment, silicone bake bats or just on the cookie sheet (un-greased is fine). Cream butter and sugar on high in a mixer for 3 minutes, until light creamy. Add eggs and vanilla, mix one more minute. Measure 5 cups oats into a blender jar and blend until a fine flour. Mix all soda, baking powder, salt, flour, blended oats together in a large mixing bowl. Add the dry mixture to the butter/sugar mixture. Mix together and add chocolate chips, grated chocolate bar and nuts, mix til combined. Make golf ball sized cookies place 2 inches apart. Bake in preheated 375 degree oven for about 6 minutes. Let cool on a cookie sheet for 2 minutes and the on a wire rack until completely cool. Store in an air-tight container. 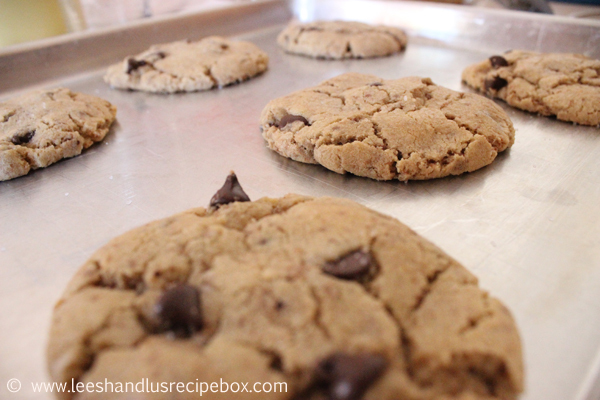 Freeze for longer lasting cookies. Makes 112 cookies.